DURING BEAUMONT NEWHALL’S YEARS IN ROCHESTER as curator and later director of the George Eastman House, he authored a cooking column for the local newspaper, the Brighton-Pittsford Post, entitled Epicure Corner. These columns span the years from 1956 – 1969. 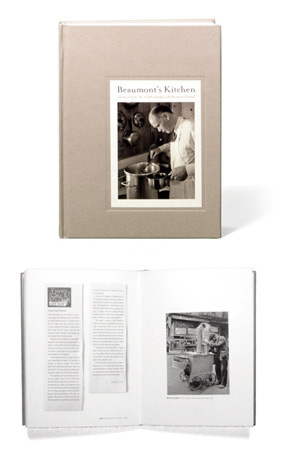 They were not limited to recipes, but included stories of Beaumont’s experiences eating in some of the great restaurants in the world, cooking with or for great chefs, and sharing memories of meals. Along with Radius Books, Santa Fe, New Mexico, we have collaborated on a volume entitled, Beaumont’s Kitchen: Lessons on Food, Life, and Photography, which includes select columns and recipes, reminiscences from colleagues, friends, and former students, as well as photographs of food by many of Beaumont’s close life-long friends. This volume is both a gastronomical and visual feast! This publication will be out in the Spring of 2009.